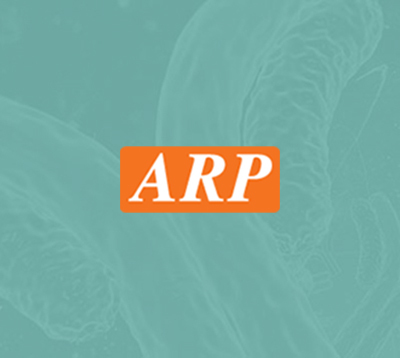 RGS5, 1-181aa, Human, 01-1796-5 | ARP American Research Products, Inc.
RGS5, also known as regulator of G-protein signaling 5, binds directly to activated G alpha subunits and act as GTPase-activating proteins(GAPs) to attenuate and/or modulate hormone and neurotransmitter receptor-initiated signaling by both G alpha-GTP and G beta gamma. Vascular endothelial cells express the RGS protein RGS5, where it correlates with capillary morphogenesis, thus rendering it a candidate gene involved in capillary growth, angiogenesis, and also potentially the pathophysiology of stroke. 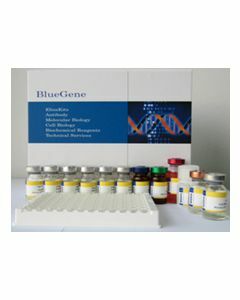 Recombinant human RGS5 protein, fused to His-tag at N-terminus, was expressed in E.coli and purified by using conventional chromatography. Hepler J.R. et al. (1999) Trends Pharmacol. Sci. 20: 376-382. Wieland T. et al. (2003) Pharmacol. Ther. 97: 95-115.